For the last few years, bitcoin has certainly been under the spotlight as the “currency of the future”. Following the inherently global nature of the internet, bitcoin was created in 2009 in order to create a universal currency that may be used by anyone, everywhere independent of banks. This virtual currency gained popularity due to its nature as a decentralized currency where transactions occur directly between two users. Its increasing value has generated even more interest in bitcoin but before if we discuss how to purchase bitcoin, let us first understand how it works. The idea of a peer to peer cryptocurrency was created by Satoshi Nakamoto’s paper which detailed the intricacies of a digital currency that is independent of a central entity. The first block was mined on the 3rd of January 2009 which was called “The genesis block”. The reward for finishing that block was 50 bitcoins and thus began the bitcoin network. A fun fact about bitcoin is that it was first used to purchase two pizzas for the low price of 10,000 BTC. Today, that amount of coins is worth a whopping £56 million. A cryptocurrency is a secure digital property that has a real-world value through its exchange. It is basically a form of electronic money that is decentralized to ensure security. Transactions occur between two users and instead of being processed in a central bank, the transaction is verified by a massive network of users known as a blockchain. Typically, the term blockchain describes a massive network of users that have opted to lend their computer’s computing power to process transactions in exchange for a small transaction fee. These blocks act as a “record” of all the transactions that have been made. Once a block is full, a new block is created which provides another opportunity to earn a certain amount of reward bitcoins. Mining is the process by which bitcoins are generated. This process involves the users lending their processing power to the blockchain for a chance to earn a fraction of the generated coin. Mining involves your processor generating a random number and checking it against the current block “puzzle”. There can only be one “right answer” for each block and that person is rewarded with a predetermined reward for the block. This is an extremely competitive process that is automatically regulated by the algorithm to ensure that inflation does not occur. A known number of Bitcoins are generated every year and that amount is halved the next year until there are 21 million bitcoins generated. This creates a bottleneck in the supply which ensures that the currency does not devalue itself through the excessive generation of bitcoin. Universal currency: Due to the digital nature of bitcoin, all you need to make a transaction is an internet connection which will allow you to send or receive payments across the globe without having to worry about exchange rates or extra fees. Additionally, the decentralized nature of bitcoin ensures that transaction can be made at any time regardless of bank holidays since there is practically no downtime. Security: Since there is no organization regulating bitcoin, it is not possible to track a person’s transaction since it is exclusively between two users. Likewise, there is no risk of identity theft or interception of your hard-earned money. Reliability: The process of verification of a transaction is done through a complicated cryptographical process which ensures that no fraud can occur and you can be sure that the money you received cannot be charged back or manipulated. All of this makes bitcoin an extremely appealing option for online vendors since they don’t have to worry about fraudulent transactions, chargebacks or changed in legalization which might increase their bank fees which ultimately cuts into their profits. However, bitcoin is far from the perfect solution, it does have its problems as we’ll see in the next section. Fluctuations: Cryptocurrencies are far from being complete as they are still being improved to ensure their stability. This means that there’s an inherent risk of devaluing due to people moving from one cryptocurrency to the other. Since bitcoin is a currency that is not based on a physical value (i.e. gold) the popularity of a certain cryptocurrency heavily affects the demand for it and consequently the price. A recent example of this was the recent “hard fork” which essentially means that a new algorithm for calculating blocks is released which forces miners to either remain with the old algorithm or move onto the new one. This results in either the previous or the new fork being more popular and thus more expensive. If you’d like to learn more about the various forks that had occurred over the years, check out this article on the history of bitcoin forks. Inherent Deflation: Due to the pre-programmed “scarcity” of bitcoins, it is reasonable to expect that the value of bitcoin will deflate once it reaches its 21 million coins generated. This limited supply favors early adopters of the cryptocurrency. Additionally, many have theorized that this pre-programmed deflation may lead to the collapse of the currency due to users holding onto their coins until they become more valuable. This is known as the “Deflationary spiral” which argues that a deflating currency may hold too much “future value” causing its users to refrain from spending it until it simply dies out. Some argue that it is not applicable in theory to bitcoin since there is no preset deflation value that can be predicted. However, the current decline of bitcoin can partly be attributed to the increased retention of bitcoin as many speculated that it was going to significantly increase in price. A bitcoin wallet is a piece of software that securely stores the “address” where your owned bitcoin can be found. The bitcoin itself does not exist in your wallet but it points to where it is located on the network. It is extremely important to ensure that your wallet is secure because that is the weakest link when it comes to getting stolen. This is achieved by your wallet creating 2 keys, a public and a private one. Your public key can be used to send or receive bitcoins while your private key remains inside of the wallet to ensure that only the person in possession of this key can access the wallet. This might seem like it requires advanced tech skills but fortunately for us, there exists several free wallets that have built up quite the reputation for being reliable and trustworthy. Here are some of these wallets to help you have a streamlined bitcoin handling experience. Technically, these are not wallets but websites that offer you the service of holding your bitcoins for you. That means that you don’t have to worry about backing up your wallet but it comes at a cost since these sites usually take an extra fee for handling your bitcoin transactions. If you’re like an effortless experience, these are your go-to sites. However, they are not recommended for larger quantities of bitcoin since you’ll be losing on a lot of money through fees. This website provides their users with a free online wallet where they may “hold” their bitcoins. In addition to being a wallet, they also provide various valuable statistics regarding bitcoins such as the latest finished blocks, the number of transactions made and the current exchange rate for bitcoin. This is a great website for beginners since it’ll keep you up to date with latest bitcoin news. This type of wallets stores the bitcoin-related data on your device. This requires you to install a software that manages said data. This is a safer alternative to online wallets because the data only exists on your computer instead of being stored on a server, however, since the data is exclusively stored on your computer, you run the risk of losing all your bitcoins if you lose access to your computer. Here are some of the best wallet software available. This software wallet will not only store your bitcoin data but it will also allow you to manage multiple wallets, store other cryptocurrencies and even provide you with valuable statistics regarding your relevant cryptocurrencies. This professionally made tool is highly customizable where you can choose from various themes that better suit your style while also displaying informative charts regarding your current balance. This software is available for Windows, Mac, and Linux which makes it one of the most popularly used tool for cryptocurrencies. This particular wallet is known for being one of the oldest software wallets available. This wallet has an added feature of allowing you to recover your wallet using a “secret phrase” that you set up when you create your wallet. In addition to being compatible with Windows, Mac, and Linux, Electrum is also available on Android for your on-the-go bitcoin endeavors. This easy to use wallet was made to simplify the process of using bitcoins for the consumer. Not only does it have a simple user interface, but it also allows users to convert their bitcoins into real money. Several businesses have started accepting bitcoin payments via Bitpay such as Zynga, Newegg, and Virgin. It is also available on almost all devices which has significantly helped in the spread of bitcoin among non-tech savvy individuals, further establishing bitcoin as the go-to cryptocurrency. These wallets are miniature devices loaded with a wallet software in order to enhance the reliability of the wallet while also adding an extra step of security. These are often small devices that you can keep on yourself in order to be able to access your wallet on any device you want while being sure that your data is safe and secure since they never leave the device. 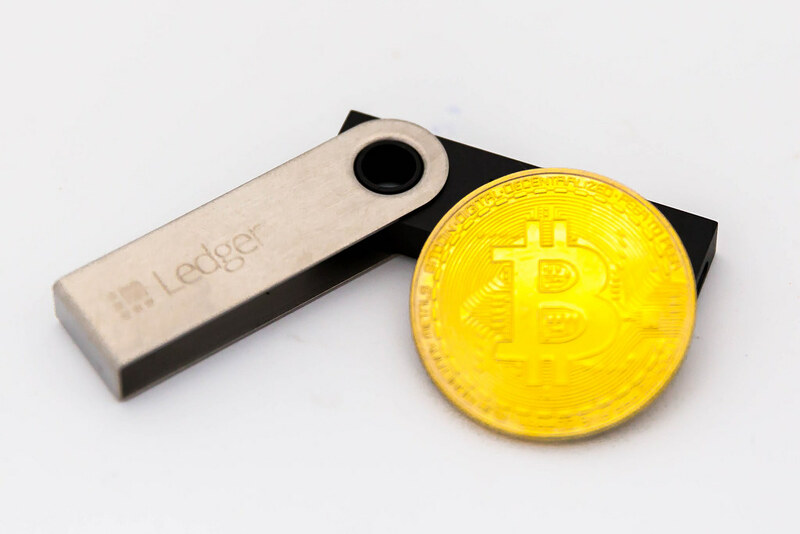 This device seems to be the go-to for hardware wallets. It was created by a French company that aimed to create a compact device that supports several of the popular cryptocurrencies such as Bitcoin, Ethereum, and Altcoins. This USB device adds an extra layer of security to your transactions since it must be connected to the computer and a physical confirmation on the device itself must be made before any transaction are made. This would eliminate any chances of hackers or computer hijackers from taking over your computer to get to your heard earned bitcoins. This is another compact hardware wallet that will keep your bitcoins safe. It supports the various bitcoin forks in addition to Litecoin, Dash, Zcash, and Ethereum. Their software also generates a 12 to 24 word recovery seed that may be used to recover your coins in case you lose the device. Now that you have set-up your bitcoin wallet, it’s now time to learn how to purchase bitcoin. Thanks to the increasing popularity of bitcoin, it is now extremely easy to acquire some. Here are some of the best methods for buying bitcoin. These services allow you to buy various currencies using your credit card online. However, it is important to note that buying bitcoins with your credit card is usually more expensive since the vendor has to go through more risks such as credit card fraud and chargebacks. Here are some of the most popular Bitcoin exchange websites. 1-Coinbase: not only is it an exchange for digital currency, Coinbase also offers their customers a free wallet to store their purchased coins. 2-SpectroCoin: in addition to being a digital exchange, SpectroCoin offers their customers a prepaid card which can be used in any ATM or shop worldwide just like a real credit card. Sometimes what you need to be asking is “How to purchase bitcoin cheaply?” and our answer to you is to eliminate the middle main to minimize fees. This means that you should be buying bitcoins directly from individuals. However, you have to keep in mind that there’s an inherent risk with dealing with individuals because you cannot guarantee their honesty especially when it’s over the internet. Luckily, there are some tools that facilitate the trading of cryptocurrencies by setting up permanent profiles for each person to discourage scamming. Bisq is one of those apps that will allow you to start trading bitcoins in as little as ten minutes. All you need to do is download their app, create a profile with your desired currency and you’ll have access to thousands of orders that’ll suit you whether you are buying or selling. What can I spend my Bitcoins on? In the past years, many businesses have started to accept bitcoin as a payment for physical goods. This was an extremely progressive step and has helped the cryptocurrency gain both popularity and value. Here are some of the things you can purchase with bitcoin. For a full list of stores that accept bitcoin, check out SpendBitcoins or Coinmap. Bitcoin is a cryptocurrency that has recently gained a lot of popularity. Unlike traditional physical currencies, Bitcoin is decentralized and relies on its network of users to process and verify transactions. As a currency that is not linked to a physical precious item of value, Bitcoin derives its value from the supply and demand created by users. We’ve discussed the nature of cryptocurrencies, how to set up electronic wallets and how to purchase bitcoin. For more financial advice, be sure to check out our article on Financial Management.